Part Number DOA WARRANTY ONLY (Dead on Arrival). No collections allowed. #Hide#115x Sockets: Supports Sockets 115x. With an installation height of only 42.2 mm, the Alpine 12 LP is particularly suitable for small and narrow housings. It is easy to assemble and allows full access to all components close to the CPU. 1Piece South Bridge IC BGA Chip. Due to the difference between different monitors, the picture may not reflect the actual color of the item. Good quality! Best Price! Excellent Service! Samsung Tab A 10.1" Rugged Case, Plastic, Silicone, Black. With an incorporated stand and full access to buttons and power this cover is hard to beat. Now that’s function with emotion. Depth 185 mm. Have the PC lighting you want without an RGB capable motherboard. With Customize and Multilayer mode, each of them can display individual lighting effects and customization options. Have fun customizing your lighting effects and have the PC of your dreams. Ready to type?. Drop protected, ultra-versatile folio case for iPad Air and 9.7" iPad Pro. Case type Folio. Drop Protection In A Snap. Product colour Gold. The Case for Total Protection. Take a Stand. Corsair HD120 Computer case Fan. The HD120 RGB LED fans are tailor-made for those seeking to make their rigs outshine all others. With 12 independent LEDs and 7 unique lighting modes, the HD120 presents a myriad of lighting combinations, all waiting to be discovered. Compulocks IPADAIRBB 24.6 cm (9.7") Cover Black. And since the iPad has no security slot, the case has one built in. That way you can lock the security cable to the case, and loop the cable’s other end around a fixed object (like a table). Noiseblocker B14-3 Computer case Fan. 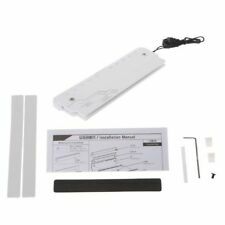 - 4 NB silicone slics for vibration-free assembly. - silent NB-EKA P2 Drive NEW! Number of fans 1 fan(s). Fan connector 3-pin. They may be able to solve the problem straightaway, and if not will advise you further. The design of the heatsink matches with the layout of Brocken 2. Alpenföhn Brocken Eco Processor Fan. 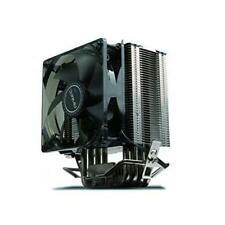 Heatpipe CPU Cooler, 120mm PWM fan, 160W TDP, 500 - 1500rpm, 4.6 - 27.3dB, 111.14m3/h, 12V DC. The RockMount mounting system ensures a simple and secure installation of the cooler on the sockets 2011, 2011-v3, 1366,115x, AM3( ), AM3, AM2( )AM2 as well as FM1. 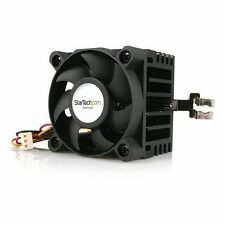 StarTech.com FANBOX12 - 12CM PC CASE COOLING FAN - . A quiet cooling solution, the 12cm dual ball-bearing case fan features a high efficiency blade design that's capable of moving 72.94 CFM throughout the computer case, helping to optimize system performance. Quiet yet imposing, the SP120 will help you finish your system with a dramatic look. Corsair SP120 Computer case Fan. The custom-molded blades are translucent and have a frosted texture, so the light from the four RGB LEDs adds a dazzling effect. ARCTIC AFACO-12000-GBA01 - F12 - Standard Case Fan, Computer case, Fan, 12 cm, 650 RPM, 1350 RPM, 0.3 sone. ARCTIC F12 - Standard Case Fan. F12, Ø 120 mm, 650 - 1350 RPM, 53 cfm, 0.3 Sone. Fan connector 3-pin. Supported processor sockets LGA 1150 (Socket H3),LGA 1151 (Socket H4),LGA 1155 (Socket H2),LGA 1156 (Socket H),LGA 2011 (Socket R),LGA 2011-v3 (Socket R),LGA 2066,LGA 775 (Socket T),Socket AM4. ARCTIC Freezer 34 - Tower CPU-Cooler with P-Series Fan. Antec A40 PRO Processor Cooler. Type Cooler. Suitable for Processor. Supported processor sockets Socket AM2, Socket AM2 , Socket AM3, Socket AM3 , Socket FM1, Socket FM2, Socket FM2 , LGA 1151 (Socket H4). BW003 - SILENT LOOP 280MM - CPU WATER COOLER. With Silent Loop be quiet! brings whisper-silent technology to the world of All-in-One watercooling. Components & Storage. They may be able to solve the problem straightaway, and if not will advise you further. Highlights Add a copper heatsink cooler for a Socket 7/370 CPU for a 1U server. Supported processor sockets Socket 370. Type Cooler. Suitable for Processor. - Ball-Bearing fan provides increased reliability, airflow and longer life. This Socket 478 CPU cooler is a combination CPU fan and heatsink that"s designed to provide optimal CPU cooling at a great price. 85x70x50mm Socket 478 CPU Cooler Fan with Heatsink & TX3 Connector. 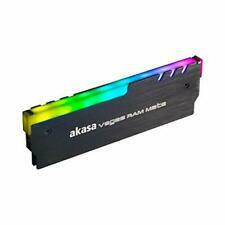 Highlights Provide an optimal fan and heatsink cooling solution to a Socket 478 desktop CPU. 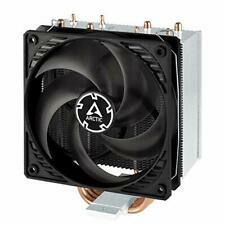 ARCTIC AFACO-09000-GBA01 - F9 9.2cm Case Fan Black & White 9 Blades Fluid Dynamic 6 Year Warranty. ARCTIC F9 - 3-Pin fan with standard case. The F9 case fans are exceptionally quiet and cost effective solutions with efficient cooling performance. Watercool 68002 Video card Radiator. Logistics data. Depth 16 mm. Width 13 mm. Comprehensive product line. Quantity per pallet 12 pc(s). It speeds things up if you can write your RMA number clearly on the outside of your parcel. A dual ball bearing design ensures reliability and longer life. Number of fans 1 fan(s). Bearing technology Ball bearing. Suitable for Computer case. Connector(s) 1 - TX3 Female. It speeds things up if you can write your RMA number clearly on the outside of your parcel. 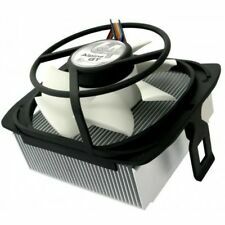 Aluminum heatsink with 50mm ball bearing cooling fan provides optimal cooling for Socket 7/370 CPUs. Supported processor sockets Socket 370. Material Aluminium. Type Cooler. Suitable for Processor. Components & Storage. The FAN12025PWM 120mm PWM Case Fan adds an efficient air cooling solution to computer cases or other enclosures to help ensure optimal performance from internal components. Connector(s) 1 - Molex Fan (4 pin; PWM). Pulse-width modulation (PWM) support. Number of fans 1 fan(s). Fan connector 4-pin. Suitable for Computer case. Mounting hole pattern (WxD) 82.5 x 82.5 mm. It speeds things up if you can write your RMA number clearly on the outside of your parcel. 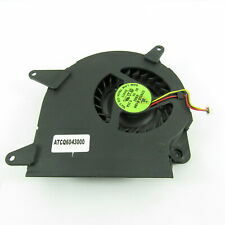 ARCTIC AFACO-08000-GBA01 - F8 - Standard Case Fan, Computer case, Fan, 8 cm, 850 RPM, 2000 RPM, 0.3 sone. ARCTIC F8 - Standard Case Fan. F8, Ø 80 mm, 2000 RPM, 31 cfm, 0.3 Sone. Fan connector 3-pin. Suitable for Computer case. Number of fans 1 fan(s). Components & Storage. Storage temperature (T-T) -40 - 75 °C. Depth 70 mm. They may be able to solve the problem straightaway, and if not will advise you further. If an item is faulty within warranty period. A dual ball bearing design ensures reliability and longer life. Bearing type Ball bearing. Suitable for Computer case. It speeds things up if you can write your RMA number clearly on the outside of your parcel. Power is supplied to the fan using a standard LP4 (hard drive power connector) pass through plug. This 9.2cm x 9.2cm x 2.5cm (3 5/8" x 3 5/8" x 1") Dual Ball Bearing PC case fan is an add-in cooling fan designed to fit most computers. A quiet cooling solution, the 8cm dual ball-bearing fan features a high-efficiency blade design that's capable of moving 32 CFM throughout the computer case. Number of fans 1 fan(s). Fan connector 3-pin. The high thermal conductivity of aluminum is fully retained by a new type of extrusion. This new production process creates a powerful yet very compact radial heat sink. The particularly thin cooling fins of the new Alpine are fanned out in a Y-shape. F12 Pro PWM, 4-Pin PWM, 54CFM, 1500RPM, 91.7m3/h, 140g. The PWM function allows the motherboard to run the fan precisely at its necessary speed. If you want to improve the cooling efficiency of your computer you get several case fans working in parallel (since it takes 10 fans to double the noise level). ARCTIC UCACO-P1600-GBA01 - Alpine 64 GT - Cost-Optimised AMD CPU Cooler, Processor, Cooler, Socket AM3 ,Socket AM4,Socket FM1,Socket FM2 , AMD A,AMD E,AMD Phenom II X3,AMD Phenom II X4,AMD Phenom X3,AMD Phenom X4, 8 cm, 500 RPM. Pulse-width modulation (PWM) support. Number of fans 1 fan(s). Fan connector 4-pin. Suitable for Computer case. Mounting hole pattern (WxD) 71.5 x 71.5 mm. It speeds things up if you can write your RMA number clearly on the outside of your parcel. Highlights Keep a system running cooler with a 70mm ball bearing case fan. - A dual ball bearing design ensures reliability and longer life. Components & Storage. Height 70 mm. It speeds things up if you can write your RMA number clearly on the outside of your parcel. A dual ball bearing design ensures reliability and longer life. Number of fans 1 fan(s). Suitable for Computer case. It speeds things up if you can write your RMA number clearly on the outside of your parcel. The FAN8025PWM 80mm PWM Case Fan adds an efficient air cooling solution to computer cases or other enclosures, to keep components running optimally. Storage relative humidity (H-H) -20 - 70%. - Ever Lubricate bearing design increases reliability and lifespan over fans with a traditional sleeve bearing design. Fan connector 4-pin. A quiet cooling solution, the near silent 8cm fan features a brushless ball bearing design coupled with a high-efficiency blade layout, capable of moving 37 CFM of air. Components & Storage. Highlights Add a CPU heatsink and fan cooler to a Socket 7/370 system. The fan features a high-efficiency blade design capable of moving 21.46 CFM, providing enough cooling capacity for Pentium III and Celeron CPUs up to 1.4 GHz. This high quality PCI Fan is an add-in cooling fan designed to fit in the PCI, ISA or AGP expansion slots of any computer. Highlights Remove hot air from a computer case with a rear exhaust fan. Type Cooler.